Liquid-Cooled Generator Scheduled Maintenance Kit for 2.4L Engine A scheduled maintenance program ensures the generator system is always in top operating condition and warranty requirements are being met. Generac's scheduled maintenance kits provide all the hardware necessary to perform complete routine maintenance on a Generac automatic standby generator. Oil must be purchased separately based upon manufacturer recommendations. Maintenance is recommended at every 200 hours or 2 years. Perform a complete maintenance on your Generic liquid-cooled generator with the Generac Liquid-Cooled Generator Scheduled Maintenance Kit. This kit is compatible with 2.4-liter, 36 kW and 60 kW generators. 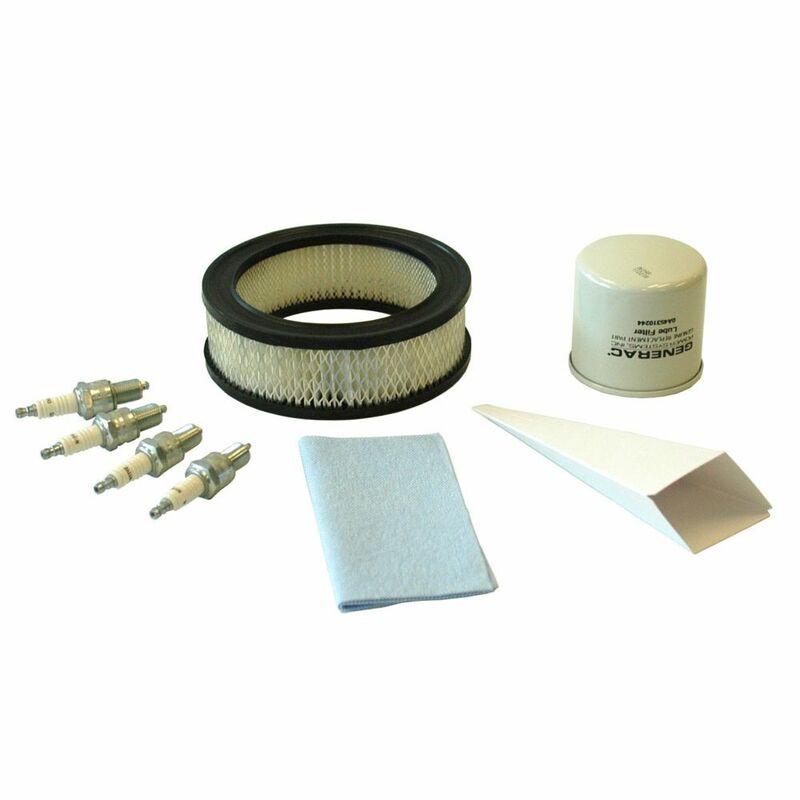 Liquid-Cooled Generator Scheduled Maintenance Kit for 2.4L Engine is rated 4.0 out of 5 by 1. Rated 4 out of 5 by Frodo from Great Kit, Wrong Filter Though The kits are great and easy to install, when they are the right parts.